ONBOARDING Plan - is a formal strategy describing how new employees are to acquire the necessary knowledge, skills, and behaviors to become effective members of your organization. This process, considered a part of Early Service Recognition, also includes welcoming and orientation, plus the introduction of your culture of engagement, values and appreciation. New employee onboarding is the best time and best way to initiate and cultivate a relationship with your new talent, establishing a bond between management and employee at this crucial stage in their employment. Recognizing Employees at the completion of your Onboarding process lets them know, from the very start, that their new employer appreciates them and values their contributions to the company. Consider the use of a low-cost award at the completion of the onboarding process. 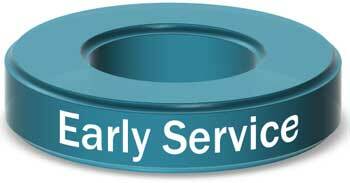 These awards should be incorporated into your early service recognition program. Onboarding recognition awards need not be expensive - it’s the thought that counts. Select-Your-Gift makes it easy and offers options for very low cost award packets for all early service recognition. 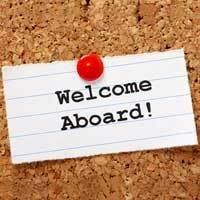 An Effective Onboarding process creates more engaged and productive employees.